Preparation – ensure the venue is suitable for your needs i.e. access, seating, facilities and available equipment. It is recommended to use mats similar to Gee-mats. Ensure that the mats are clean and in good order, if need be repair any cuts etc with the appropriate tape. However we are aware that it is not always possible to provide Gee-mats and that canvas mats are used. In such cases again they should be in a good state of repair including the frames, it is recommended that the frames and ropes shall be covered in order to prevent injury to participants, in the event that they come in to contact with them. The layout should allow for reasonable access in and out of the venue and around the mat areas with out obstructions to hinder the passage of all pedestrian traffic, in particular the access to fire exits. The BJC Contest Rules and Health & Safety Recommendations should be inline with each other. 9m x 9m contest area. There should be a further 1 metre floor area clear around the mat, including no furniture. Adjoining mats may share a common safety area. 7m x 7m contest area. For International Competitions, it is recommended the safety areas be extended from 2m to 3m and the floor area around the mats be extended from 1m to 2m. BJC rules reflect a higher degree of safety and contestant control by the referee and therefore are assessed to be less dangerous than contests operated under International Rules. Dynamic risk assessment of the environment, venue and equipment based on the local knowledge available are to be undertaken, once the venue is set up. Also consult with the venues management if necessary to obtain relevant information. Ensure that all officials/coaches are aware of the emergency procedures and are familiar with the fire exits and assembly points. All exit routes to be kept clear at all times. Referees/Table Officials – ensure that all officials have the relevant qualification and are conversant and up to date with the rules and are briefed accordingly. Coaches have the relevant indemnity and qualifications at the level they are required to teach or assist within the club or on courses. Recommended training to FPJ level 1 or level 2 or NVQ in judo. Refresher training to be undertaken by coaches at regular intervals, as specified by BJC Policy (2-3 years). Periodic checks in order to verify content of syllabus.  All Coaches and Officials carrying out duties at Junior Competitions MUST have a current CRB check for judo activities. Dynamic risk assessment for the number of coaches required, and the concentrations of coaches per mat. Personal equipment. A judo suit, belt and slippers in a good state of repair. For use in accordance with British Judo Council rules/policies. Nails should be trimmed short. A clean body i.e. personal hygiene and long hair tied back. All jewellery shall be removed including all body piercing. Training – which includes break falls, basic skills/principles and awareness. Warm up & cool down exercises – the British Judo Council to provide updated information on potentially hazardous exercises/techniques, as they become known. Declaration of previous injuries and any medical condition that is relevant to the activity undertaken. Coaches to monitor and instigate where necessary and implement adequate controls. Medical advice to be sought if need be. Individual’s known to be vulnerable to be issued with an individual risk assessment. Also individuals should identify to others that they are practicing with the existence of a problem. Sickness and accident reports to be monitored by the British Judo Council, in order to identify, developing health problems and the possible causes. Rules – all participants to be conversant with the British Judo Council rules and etiquette expected i.e. be responsible for your own safety and that of the person you are practicing with, also those within your vicinity.